Technically the FS51 module is an FS50 scanner without plastic case and USB cable. The module is intended for customers who want to integrate rolled or single/dual flat fingerprint scanner into their own hardware like handheld ID verification machine, portable voter registration station, etc. The FS51 is FIPS 201 / PIV compliant device and is listed in the US General Services Administration (GSA) FIPS 201 Evaluation Program Approved Product List. 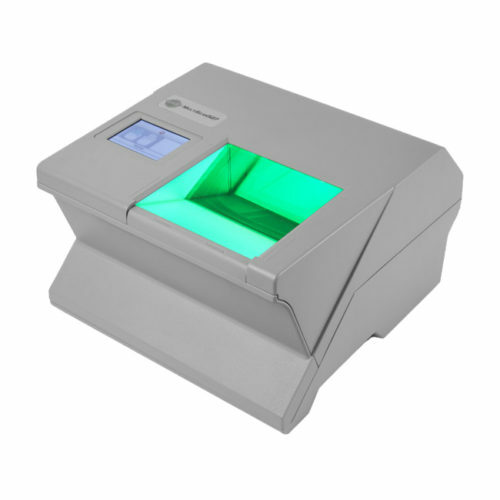 The scanner features large platen area (1.6″ x 1.5″) that allows to scan single or dual flat fingerprints, or single rolled fingerprint. FS51 sensor is rugged enough to be used in mobile solutions that may require heavy user interaction in various environments. The sensor has a thick 33mm crown glass prism with anti-scratch coating. Each individual module includes a unique factory-programmed serial number. 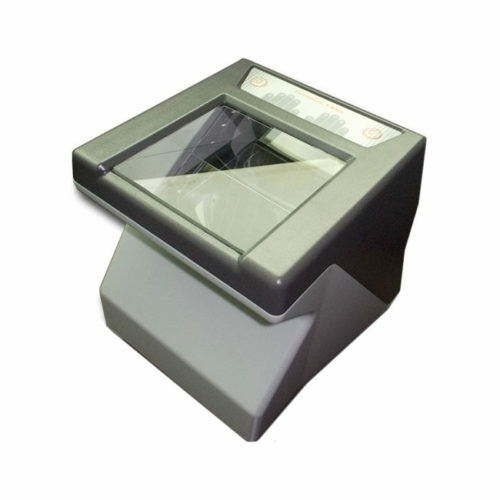 The scanner is traceable as it has a unique serial number factory-programmed into the USB Device Descriptor. Applications can read this number and store it into database duringe each scan. This feature is important for security systems and government identity management projects. Large platen area – allows to scan 1 or 2 flat fingerprints simultaneously, or 1 rolled fingerprint. Infra-red illumination – allows to scan wet, dry, blurred, scarred and other problematic fingers. Rugged sensor – thick (33 mm) crown glass prism used for platen. 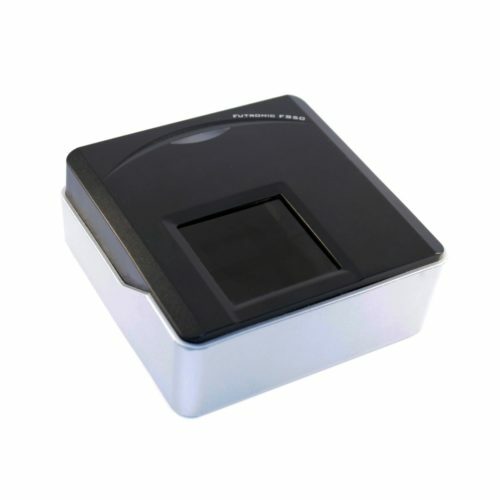 The FS64 ID Flat Fingerprint Scanner from Futronic is an FBI certified (Appendix F) fingerprint reader. The scanner captures four-finger slaps, dual thumbs, as well as single rolled and flat fingerprints. The manufacturer specifies that the scanner features IP54 casing meaning that its internals are protected against dust, physical contact and water projected by a nozzle. The enforced construction consists of ABS outer shell and internal frame from aluminium alloy. The device is fully powered via USB and does not require external power supply. MultiScan527 from Green Bit is an optical palm print and fingerprint reader. The scanner is able to acquire half-palm images (upper and lower), four-finger slaps, dual thumbs, as well as single rolled and flat fingerprints. The device is certified by the FBI as compliant with FBI IAFIS IQS CJIS-RS-0010 (V7) Appendix F and is also compliant with Appendix P requirements. The manufacturer specifies, that the MultiScan527 can be optionally equipped with additional accessories like smart card / NFC reader, foot pedal etc. 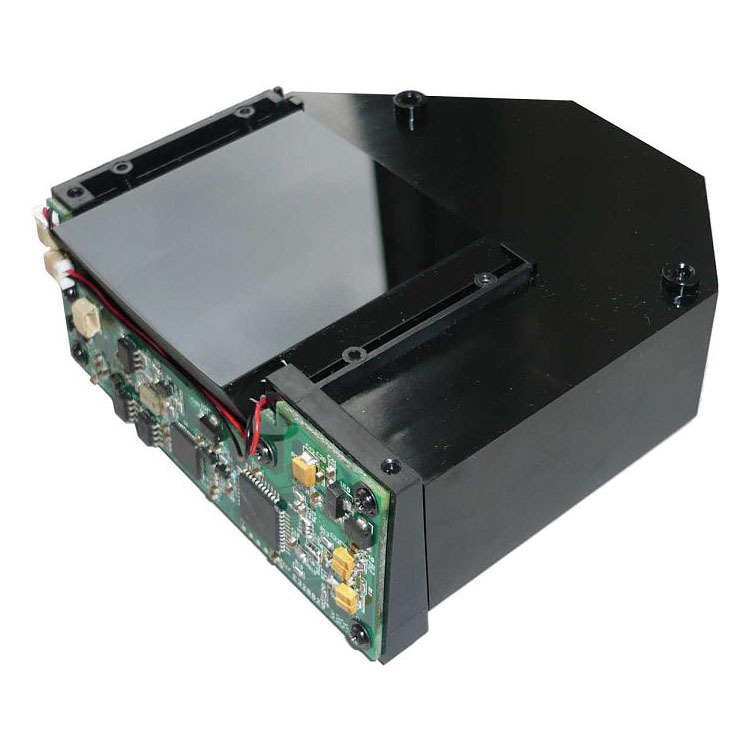 Also, an OEM scanner module is available for embedding into custom solutions.